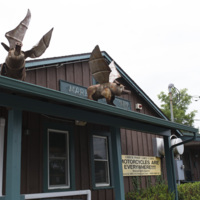 “Flying Pigs,” Art Oneida, accessed April 20, 2019, http://artoneida.org/art/items/show/289. 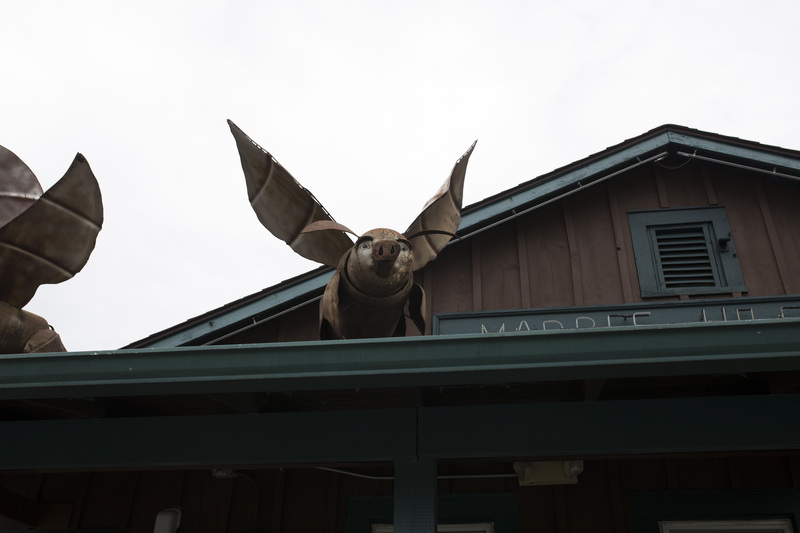 Description: You'll believe something when pigs fly? 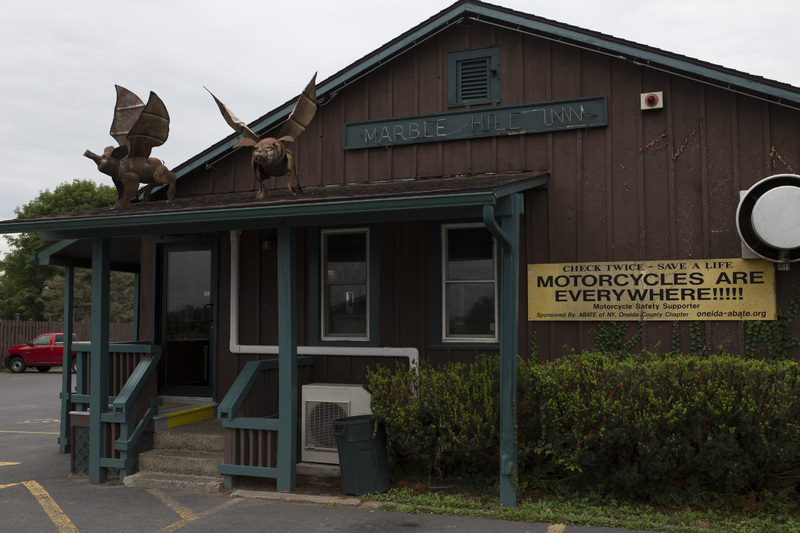 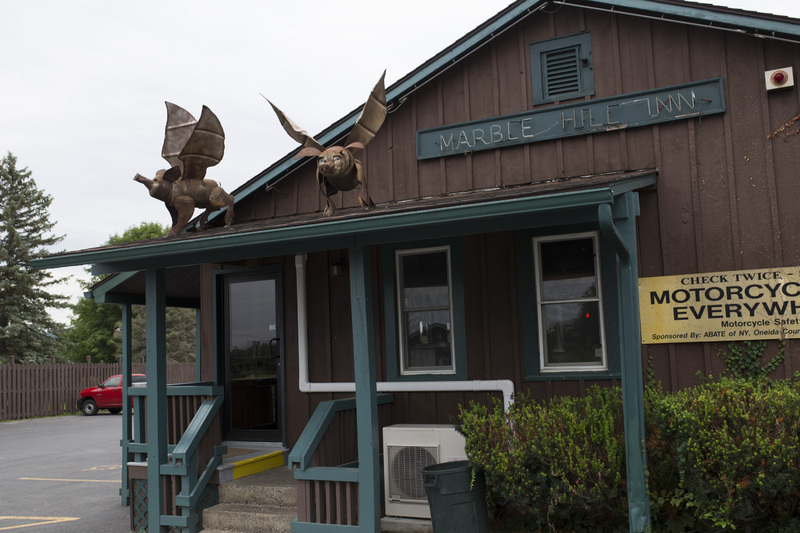 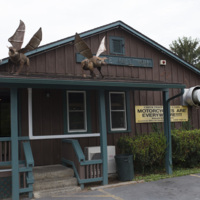 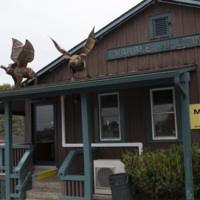 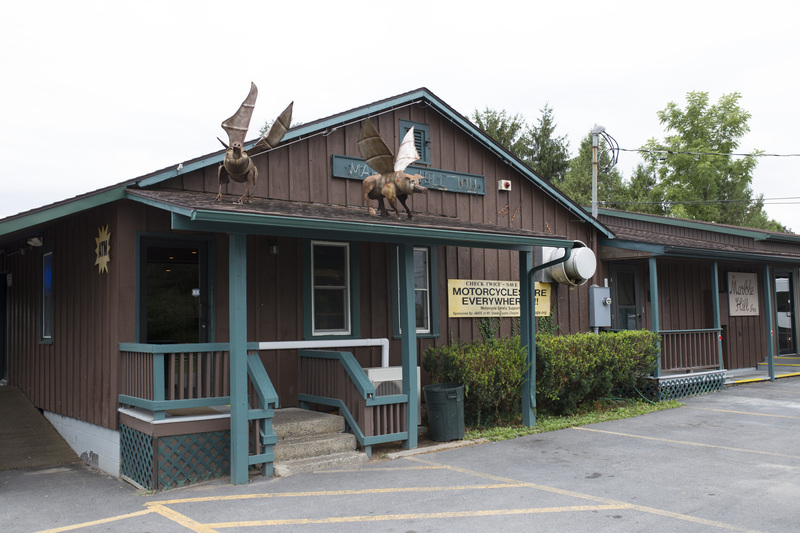 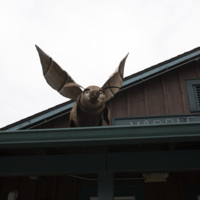 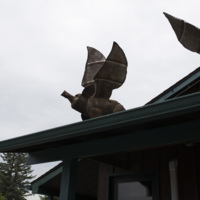 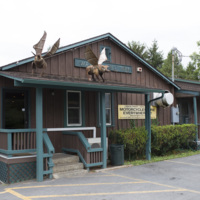 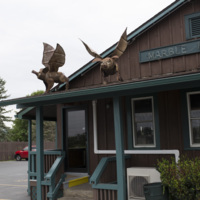 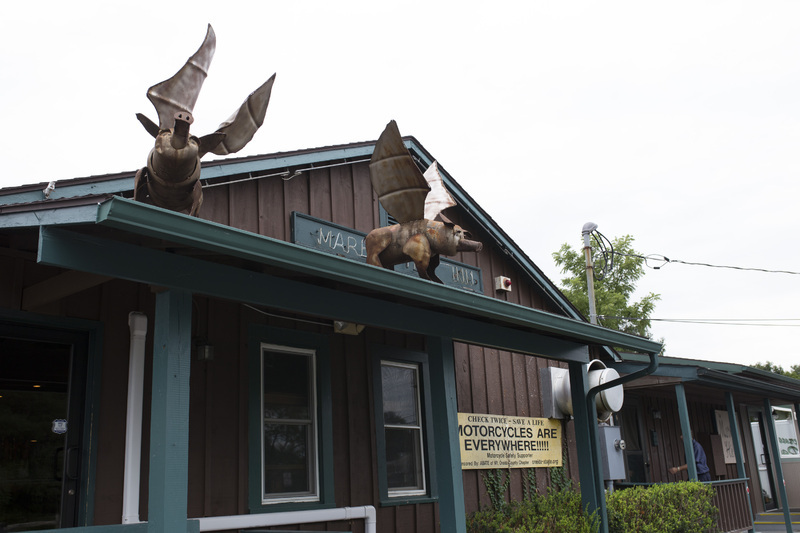 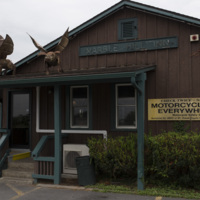 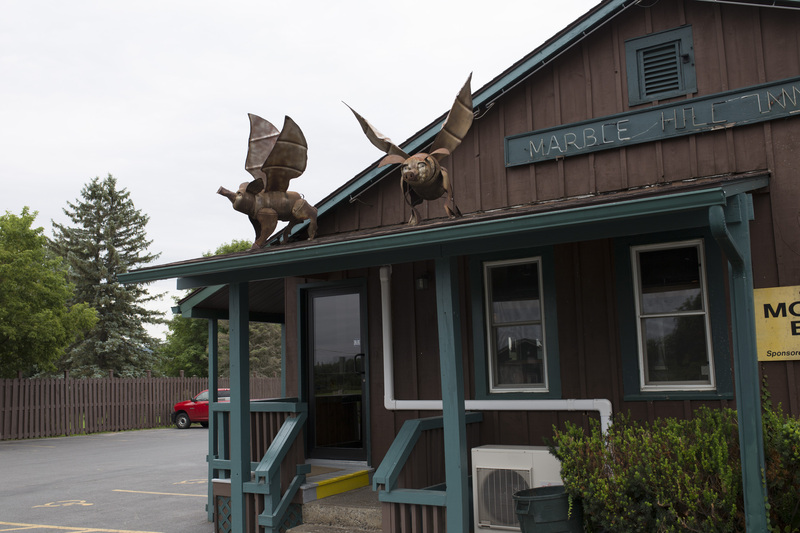 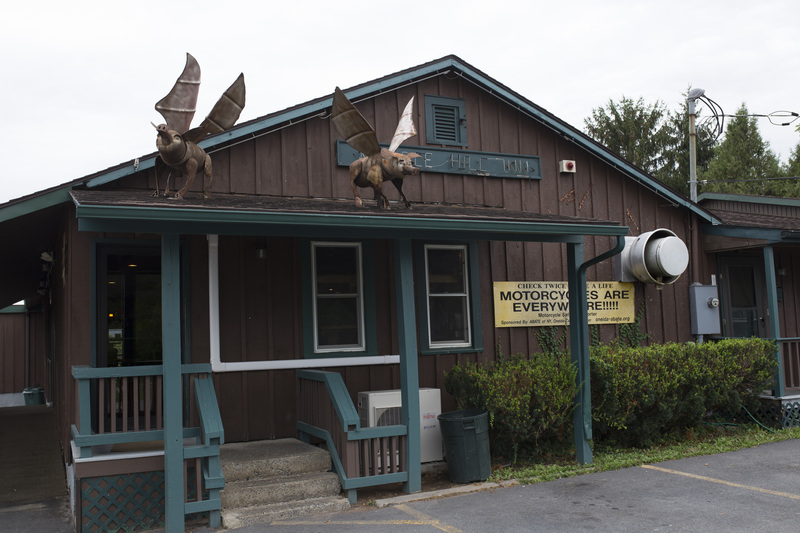 The Marble Hill Inn in Oneida has its very own set of flying pigs on the roof. 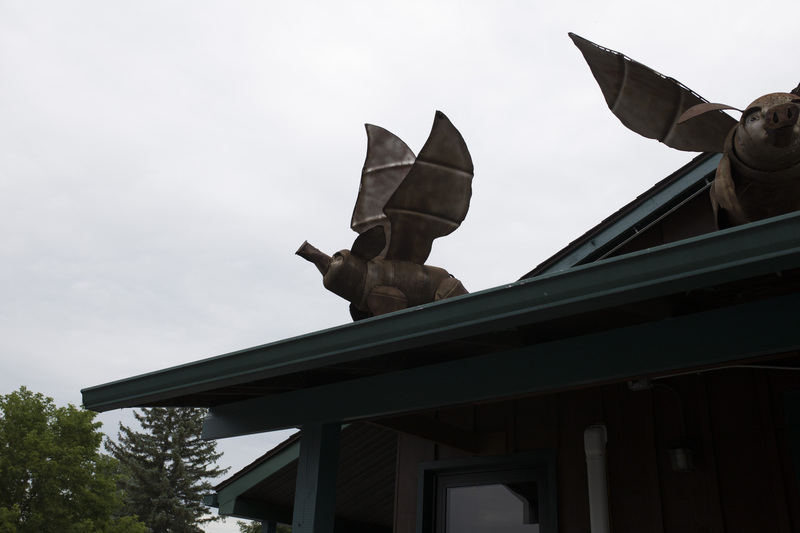 They perch on the roof over the entrance, ready to take flight.